So far, I have done both the New York (2016) and Tokyo (2018) Marathon Get Running tours with Gaz. Running the Six Major Marathons is a bucket list item for me and the Get Running tours has helped make that a reality. To be completely honest, running the New York and Tokyo marathons were two of the best days of my life. I can’t speak highly enough of how Gaz runs his tours. The group sizes are perfect, not too big and not too small. Because Gaz has done the tours before, he knows the race courses very well and also knows how to best navigate the start and finishing line etc. For New York, I had heard horror stories of how long everyone has to wait at the start line but Gaz timed it perfectly so we weren’t waiting unnecessarily. Either side of the marathon, Gaz arranges just the right amount of group activities so there is enough free time to fit in what you want. Gaz chooses great restaurants for those who want to dine as a group, and most importantly the celebration dinner is always a fun night. In my experience, the others on the tour have all been a pleasure to travel with, extremely supportive and have turned into great friends. Thanks for the great tours Gaz - bring on the next one! I just wanted to email you to let you know what a fabulous trip the Hawkes Bay Tour was. I loved staying at Te Pania - it was so relaxing and so clean and tidy. Being so busy with school and being a mum just walking into that room took my breath away. I really enjoyed my little haven/retreat. I loved the way you took care of our breakfasts each day and made sure the van was ready to pick us up and take us to the main house. Your attention to detail was amazing. The food was fabulous - so delicious - every meal lovely. What I loved the most of all (i know so much love) was the support of the GetRunning group. I always knew they were a good group but my goodness the support I received at the end of the finish line was just amazing. It blew me away - I was just overwhelmed by the kindness of those who already ran - they could have all gone back and relaxed but no they were all out at the finish line waiting and cheering. That will stay with me forever. The entire weekend was outstanding and will be one I will remember for a while. I really like this group and the friends I have made. 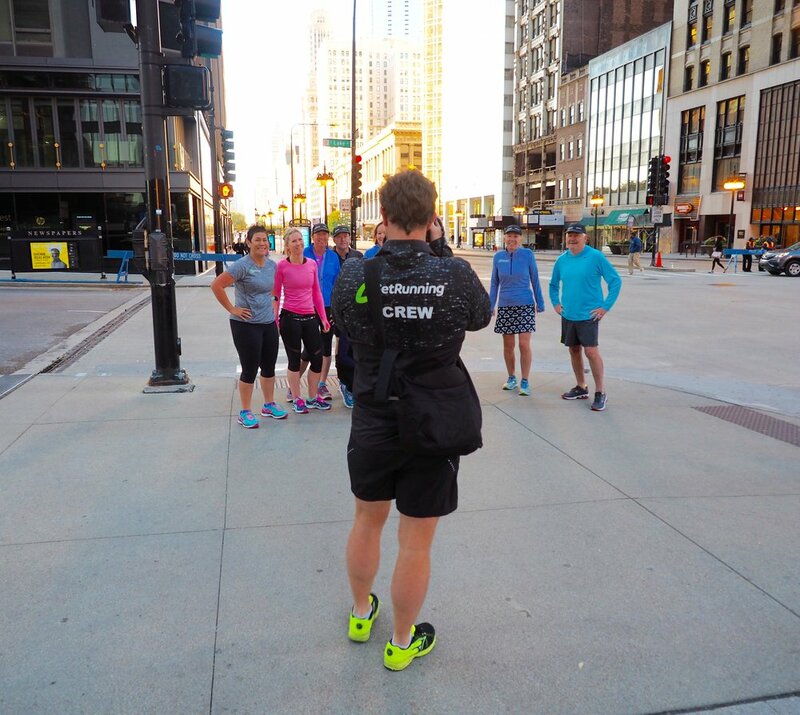 I have really enjoyed all of the GR tours I’ve been on – sure, they give you a (mild) focus to your training, and take you to exotic places you might not otherwise go to ( a classic case in point being Chicago for me – what a city, and what a marathon) – and I suppose there’s a run involved and everything, but the best bit is the people, and what (usually) comes next. The GR tours tend to be a pretension free zone, with lots of like-minded individuals fairly keen to have a good time ( so far on my GR travels, I’ve dressed as a Beatle ( Sargent Pepper era) in Taupo, engaged in a bit of a spot of speed cross dressing in Keri Keri……and stayed orthodox in Chicago - albeit that we almost sent two of colleagues to certain death in the South side of Chicago). To be frank, my experience has been that not everything is strictly athletic. There is an inordinate amount of focus on eating and drinking - and not much distinction is drawn between pre race and post-race activities. No one is there to set age group records, and it shows. The older I get ( I’m actually still very young) the more I value life experiences, over the other so called baubles of modern life. The great times I have had on these trips are memories that are important to me – and the master plan is to keep adding to them, until the day I cant. Imagine turning around and having the majestic Arch de Triumphe behind you as you line up at the start of your next marathon. They say Paris is the city of love but if you love running then this is the place to be - on a GetRunning tour. As we weaved our way through the Paris streets, past wonderful historic monuments, museums, parks and, attractions it was hard not to enjoy it. This marathon was one that I really looked forward to and consequently, I enjoyed every step of it. It was great to have such a wonderful supportive crowd along the way and extra special when you spotted the GetRunning team and the NZ flag. I have been on many half Marathon and full Marathon GR tours, both international and local, and I can truly say they are very special events. They have made a big impact on my life and have become much looked forward to adventures that pull me out of the daily grind and treadmill of life. They are my escape and are good for my health (mostly). I’m not sure what makes the events special but they are. If you are going on just one, or many, you will look back with a fondness on a ‘high five’ time in your life no matter what personality type you are. People just seem to mix and it doesn’t matter what walk of life you come from, or how much money you have in the bank, you will quickly find a friend or a group of willing NBF’s. Above all though you are all just social runners and GetRunning seems to be able to have a special mix of style, organisation and management that quickly bonds the participants. And of course there is always the running; yep you have to do that bit too but you will find enormous support for you before, during and after the event irrespective if you are the fastest runner or the slowest runner, its your first time or one of many times, nobody cares, they are just so supportive of you crossing that finish line that you will quickly relax and enjoy the experience.